Okay….. you can tell the green and yellowish chunks are the zucchini slices. 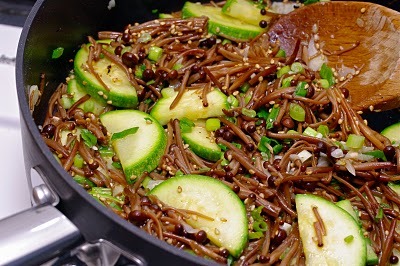 But what in the world are those yucky brown thingy that looks like worms? The answer : They are the aliens from a galaxy far far away!!! Have you ever wondered if there will be any other living creatures in our galaxy? A planet just like the Earth, will there be another human race dwelling in? Will there be aliens? What would they look like? Will they attack us? Those were big concerns I had today. Silly me! These are the clone troupers from a galaxy far far away. 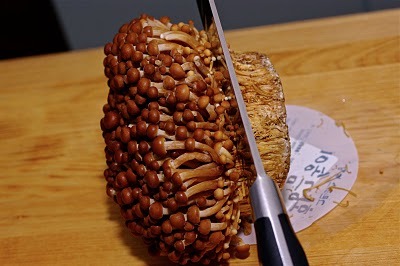 They are called Korean wild Enoki mushrooms (팽이버섯). Yes, they are mushrooms. Do you want to see the close ups? Most enoki mushrooms you see at the stores are white and slender. They are cultivated ones in the dark under manipulated light which led to bone white color. The wild enokis have brown heads, shorter in length and have velvety stems. They have robust flavor. Did I pick these guys from the wild, then? No, absolutely not! One beauty of living in Hong Kong is that there are so many types of mushrooms available which I could not find easily in the U.S. 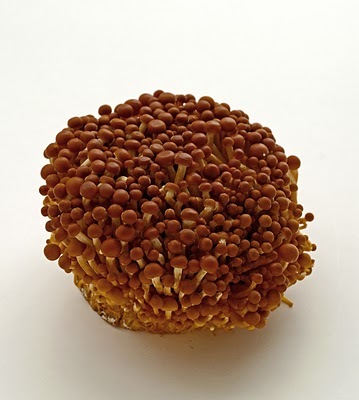 Most of the mushrooms are imported from either Korea or Japan, the two mushroom kingdoms. 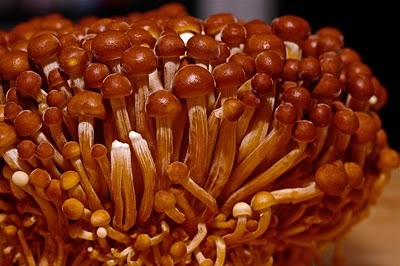 So look for these enoki mushrooms. They are good for you and your family. These guys don’t last long in the fridge though, so you better use them soon. Let me introduce you another alien that dwells in my fridge. What in the world is this? 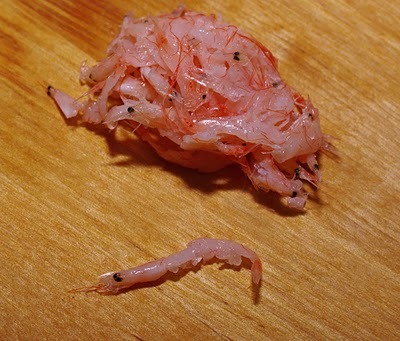 These tiny guys are fermented (pickled) baby shrimps(새우젓), widely used in Korean cooking. 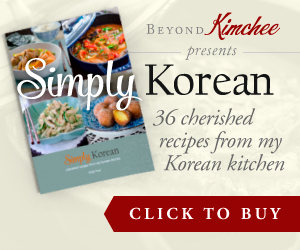 I use them in Kimchee, with vegetables, in soups, etc. They are packed in a small jar and needs to be refrigerated all the time. They can bring out lots of flavor in a dish but once cooked you won’t see their scary faces though. Because they melt away once you cook them. Kinda like Italian anchovies when cooked. Aren’t you glad? So I am going to use these two aliens today to create delectable side dish for you. It is easy and fast to prepare. 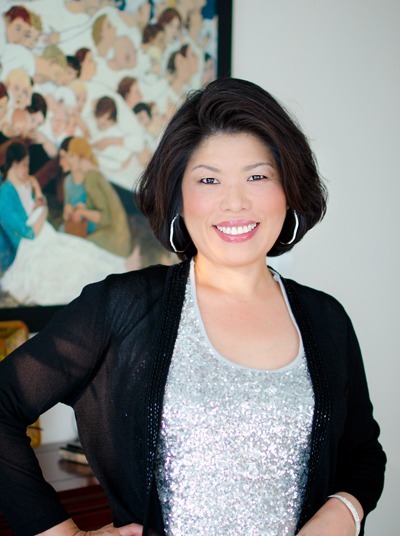 Too bad, my kids and the piano man just won’t eat mushrooms! But someday they will…. 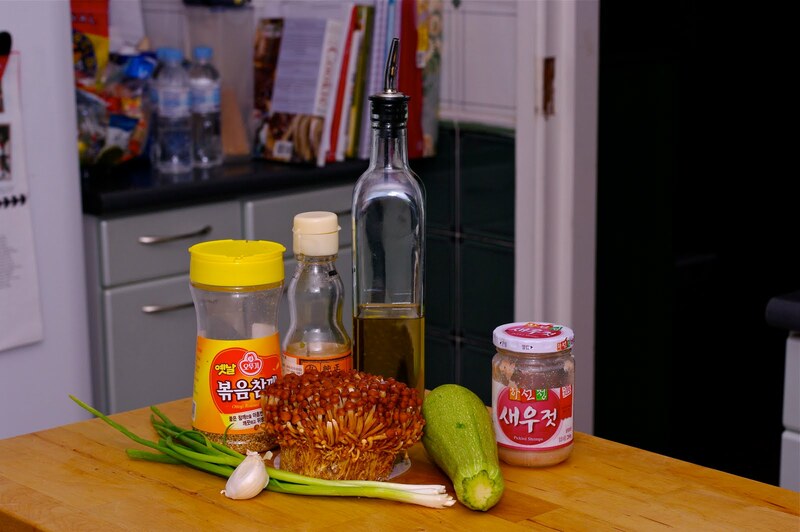 You will need; one head of enoki mushrooms, zucchini, garlic, fermented shrimp, olive oil, sesame seeds, sesame oil, green onion. First, cut off these troupers from their mother ship, and discard the base. You don’t need to wash these guys. Just brush away any dirt if you need. 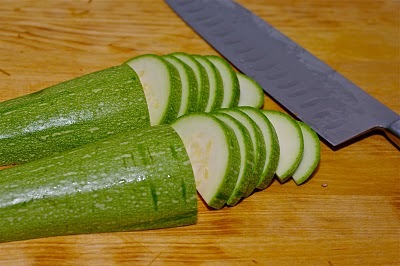 Cut the zucchini in half length wise and cut them in 1/4″ thick slices. Chop the garlic, green onion, and fermented shrimps. 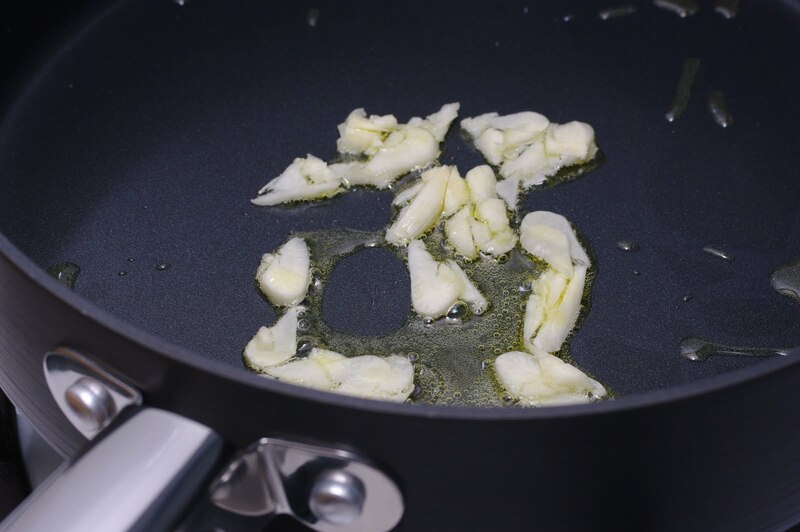 Heat olive oil over medium heat and saute garlic for 5 seconds. Add zucchini and the fermented shrimps. Continue to saute until zucchini gets tender crisp, about 2 minutes. As you see, you don’t see the shrimps in the pan. Add the mushrooms. They only need 30 seconds to cook. Check the seasoning. You can add salt and pepper if you need. Lastly add green onion, sesame seeds, and sesame oil. Toss well. How easy is that? and they taste pretty good. That was the response from my kids and can be yours, too. and they need to eat them to protect the earth from the bad clone troupers. Remove any dirt from enoki mushrooms using brush. Cut off the bottom and discard it. The mushrooms will fall apart from each other. Cut zucchini in half lengthwise and cut them into 1/4″ thick slices. Heat olive oil in a pan over medium heat. Saute garlic for 5 seconds and add zucchini slices and chopped fermented shrimps. 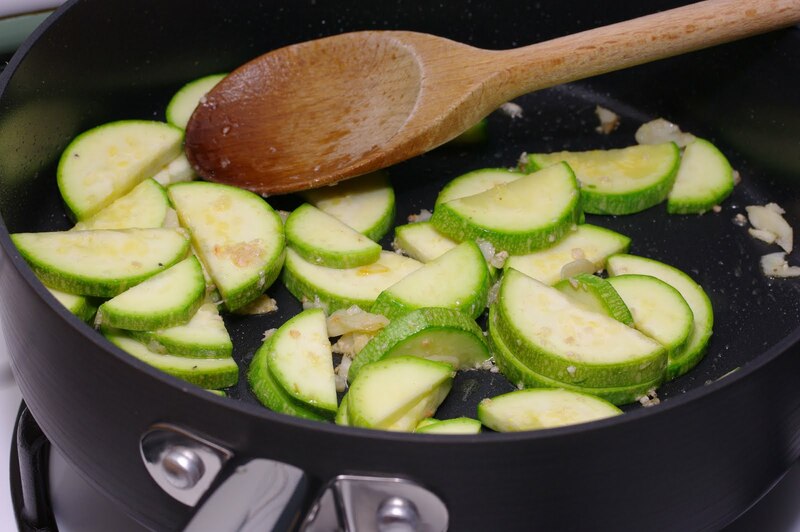 Continue to saute, stirring occasionally, until the zucchini gets crisp tender, about 2-3 minutes. Add the mushrooms and cook for 30 seconds or more. Remove the pan from heat. 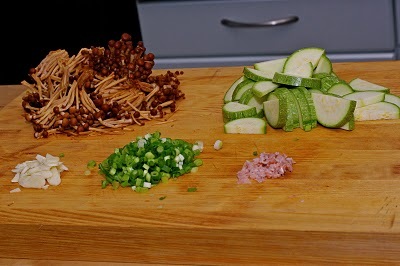 Add the green onion, sesame oil and seeds. Season with salt and pepper and Toss them well. 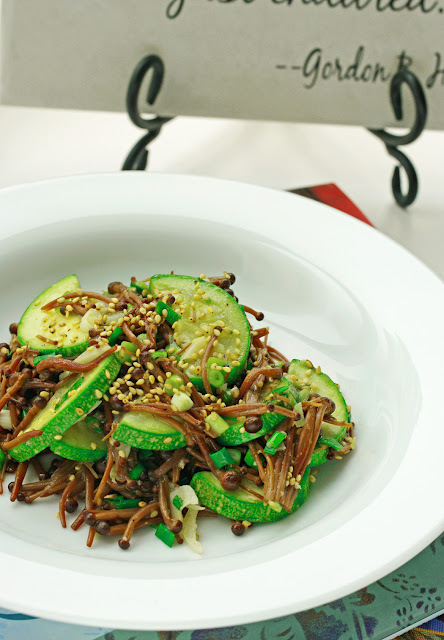 My mother used to make the zucchini with the small shrimps all the time. 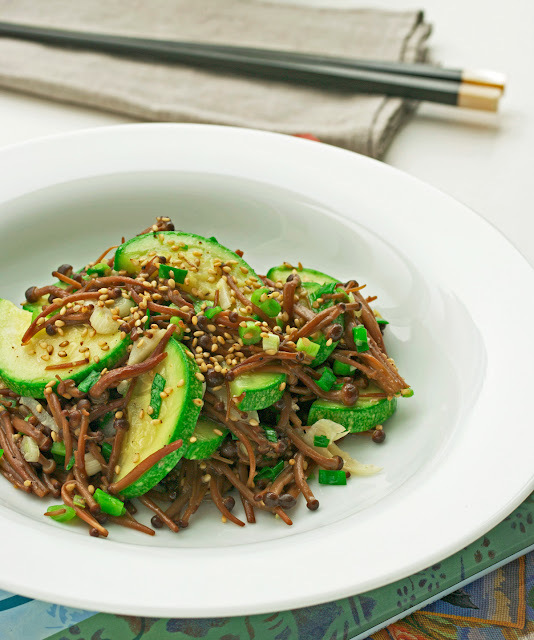 I am planning to make this dish for my daughter who turned vegetarian after watching the 'Earthlings' film.